Thursday's decision by the Higher Court in Belgrade to rehabilitate Dragoljub Draza Mihailovic has been hailed by some and condemned by others. 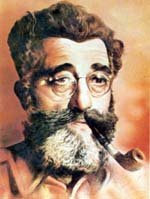 Yugoslavia's post-war communist authorities in 1946 charged Mihailovic with collaboration with the Nazi occupiers and sentenced him to death in a trial described as political and ideological. He was also stripped of his rights as a citizen - something that the court ruling announced on Thursday restored. 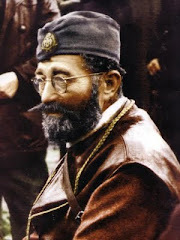 Explaining the decision, Judge Aleksandar Tresnjev said that the court did not seek to determine whether or not Mihailovic was a war criminal, but only if he had been given a fair and just trial in 1946. "This is not a rehabilitation of the Ravna Gora (Ravnogorski) Movement and the Yugoslav Army in the Homeland, because that has been done via numerous laws related to veteran issues - this was exclusively about whether Dagoljub Mihailovic had a fair and just trial," the judge stressed. The court found that this was not the case, Tresnjev continued. Mihailovic did not have a right to present his defense, and he did not see his lawyer before the trial started. "Dragoljub Mihailovic is considered a person who has not been convicted," the judge announced, to a thunderous applause of the members of the public present in the courtroom. Interior Minister Nebojsa Stefanovic reacted to the news to say he was "personally dissatisfied" with the decision, considering that he comes from a family of "Partisan fighters who liberated Belgrade and Serbia in the Second World War." Stressing that this was his personal stance, Stefanovic added: "Of course, I don't interfere in the decisions of independent justice organs, they probably had more legal arguments and evidence than I do." In a statement issued by his ministry, Foreign Minister Ivica Dacic said that the court's decision was not a step toward reconciliation and truth, but one that "deepens divisions." 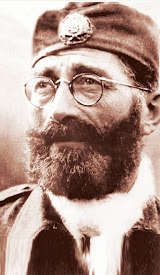 "The Higher Court in Belgrade should be reminded that 70 years ago, on May 14, 1945, the same date when it made the disgraceful decision on the rehabilitation, English soldiers in Italy and Austria captured almost 30,000 Ustashas and Chetniks and handed them over to Yugoslav Partisans. That alone speaks about who were allies, and who the enemy in May 1945," the statement said. Dacic added that "the world is today facing attempts at historical revisionism of victories and defeats, crime and punishment." "No decision of any court can erase and annul history. Serbia, as the victim of such attempts on international scene, must fight against historical revisionism and relativization of historical facts in Serbia itself," the MFA statement concluded. 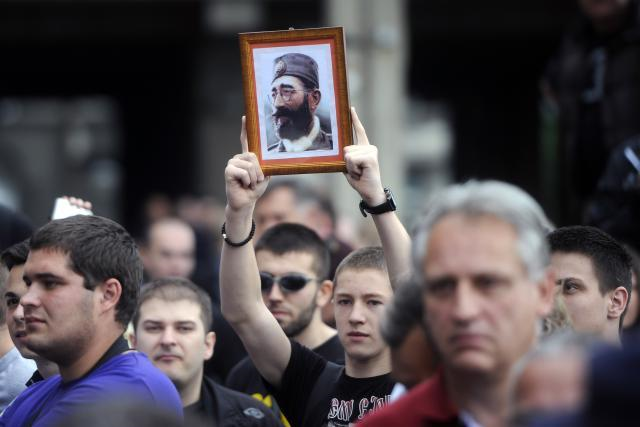 The Federation of Veterans' Associations of the People’s Liberation War (SUBNOR) of Serbia on Thursday strongly criticized the judicial rehabilitation of Mihailovic. 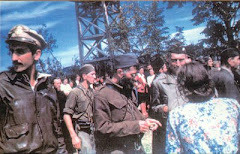 The organization, comprised mainly of members of the Second World War Partisan units and their descendants, believes that Mihailovic’s rehabilitation is "legally unfounded and therefore untenable." 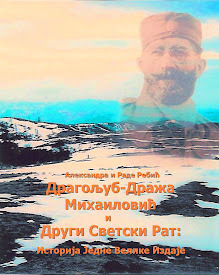 “This is a deletion of Serbia’s undeniable historical contribution to crushing fascism and of the victory of the anti-Hitler coalition that the people’s partisan army units were worthy comrades of,” SUBNOR said in a statement. SUBNOR sees the court's decision was tantamount to “rubbing salt on a ever fresh wound, sticking a finger in the eye of neighbors of today and of the entire anti-fascist world who look at our nation and the undeniably glorious place that the partisan fighters have in the history of mankind with respect." But presidential adviser Oliver Antic, who was one of the authorized representatives of those who proposed Mihailovic's rehabilitation, said that the decision was "a great day for law and justice." 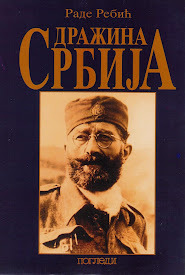 "This is a great day not just for the Serbian people but also for those honorable Croats, Muslims and Slovenians who fought under the command of Mihailovic," Antic said, and pointed out that the units comprised "around 10,000 Croats, 8,000 Muslims and 6,000 Slovenians." 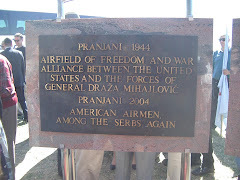 "This day should be celebrated in Croatia, too," Antic said. 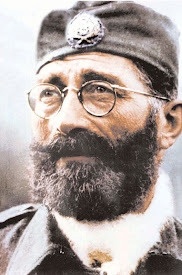 Some politicians and officials in that country have strongly reacted to the news from Serbia today, with Justice Minister Orsat Miljenic saying that the rehabilitation of Mihailovic was tantamount to that of "Adolf Hitler or Ante Pavelic" - the latter being the head of Ustasha regime at the helm of the WW2-era puppet Nazi entity known as the Independent State of Croatia (NDH). "I did not send a strange message, but one about a chance for reconciliation. The evil in these regions came from the Second World War and one cannot understand 1991 without understanding 1941. I don't hold it against them, because they don't know the facts, and now there is the possibility to learn the truth," Antic said. Yugoslav Crown Prince Aleksandar Karadjordjevic welcomed the court's decision on Thursday, noting that "this is a key step toward national reconciliation." He "underscored that this decision has finally corrected one of the biggest historical injustices, noting that this was not just an instance of injustice done to a patriotic citizen, it was also an act of injustice toward the country and nation as a whole," Tanjug quoted him as saying. Karadjordjevic noted that this is the reason why this is a big and positive day for Serbia and its people, and underscored that the decision bears key importance for national reconciliation. 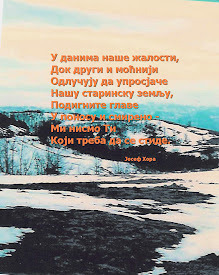 "We need to do everything we can to overcome the differences still present among us with a view to a joint and improved future," the Karadjordjevic said in a statement. As an American of exclusively English ancestry, I shouldn't have a dog in this fight, but it sounds to me like there are still plenty of communist vermin in Serbia, including in the government. In short - damn straight! 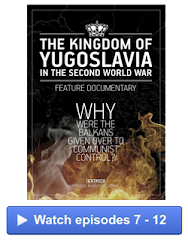 Why can't these people condemning the reversal just admit to the fact that what took place 70 years ago was nothing more than a communist show trial, aimed at killing Mihailovich and the monarchist movement? My brother and I (named after King Peter II and his father) would not have been born had our father, a border guard and an outspoken monarchist, stayed after the war. He likely would have been killed for his beliefs. It's just like Mihailovich said - there is no compromising with the communists. It's either their way or else. That's not something to defend - it's something to abhor. Everyone on all sides needs to take responsibility for their actions for healing to occur. There can be no progress without it. "Reconciliation" in Serbia will happen only when the monarchy is restored. Damn straight! 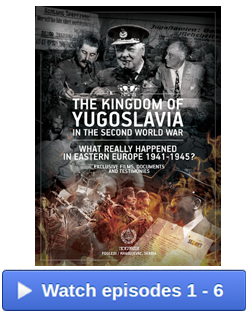 I wouldn't have been born if my father, an outspoken person and monarchist, had stayed in Tito's Yugoslavia. He likely would have been killed. It's exactly like Mihailovich said, there was no compromise with the Partisans. It was either their way, or else.